In long-term production agreements (Contract Manufacturing) with major clients such as OEMs or TIERs it is vital to be able to anticipate production orders, and to be able to satisfy the demands of our clients without collapsing the rest of production. Lantek Advanced Connectivity integrates certain inventory and production data of the VIP client with our system to anticipate and plan resources long before the manufacturing order arrives. Contract manufacturing agreements are key for our sector: long-term agreements with major clients who must be served diligently and without delay. But these orders are usually large, and run the risk of collapsing our production system at any given time, affecting other clients. Technologically advanced sectors like Automotion have solved this problem by connecting the MRP of the client with that of the supplier, so that there is always updated information on parts in the warehouse, and even the consumption rate. This is precisely what is offered by Lantek Advanced Connectivity: the ability to access the MRP of VIP clients to anticipate manufacturing orders. 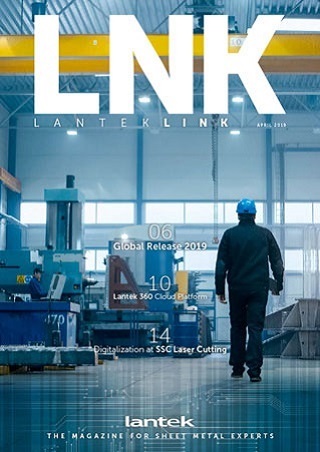 True efficiency emerges when Lantek Advanced Connectivity is combined with Lantek Advanced Planning: the system anticipates the manufacturing orders according to the stock and consumption rate, and automatically makes reserve proposals in production planning. The order, although not official yet, will appear in the planning in the dates and in the most efficient line or plant according to the desired parameters: aiming for cost reduction, or striving for minimum manufacturing time, or preventing underactivity in the different plants or lines, etc.